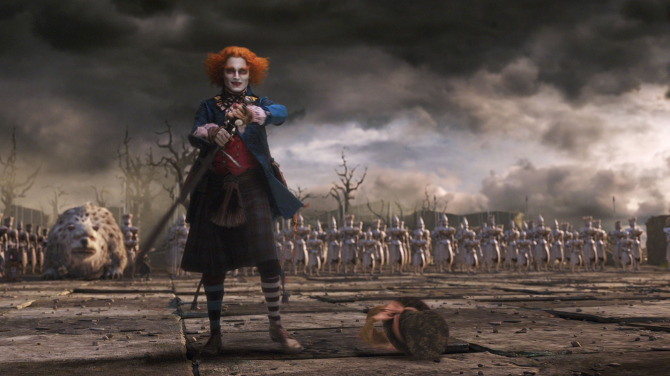 I was wondering, out of curiosity, for those of you that have seen Alice in Wonderland, can anyone identify Johnny Depp's (the Mad Hatter) sword? It looks a little like a Del Tin 5167? For those that haven't seen it, its actually a pretty good watch, rather better than i thought that it would be with the bonus that you get to see the mad hatter wielding a two hander. Hi Christopher... I would say that isn't the same but a little bit closer ... look .. ( I own the DT Sword) .... the DT sword has a long straight cross guard (16"),, the grip alone is like 12" and the parrying hooks are small. “I came, I saw, God conquered"
Thank you for those pictures, if you can turn up any more that'd be great. 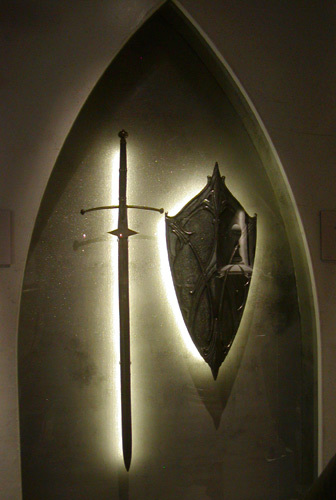 Its a very nice looking piece; if the six degree's of seperation thing really works then in theory in a short while we should be able to contact the armourer for the film who would be able to tell us exactly the provenance of the sword?